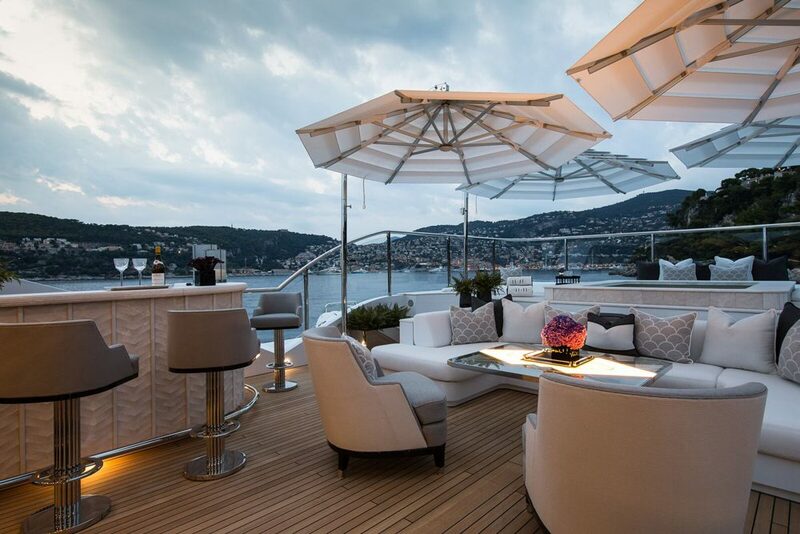 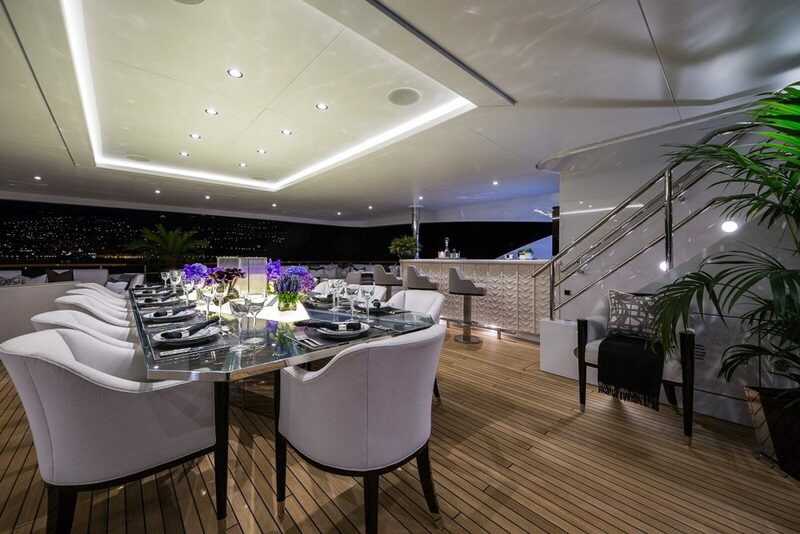 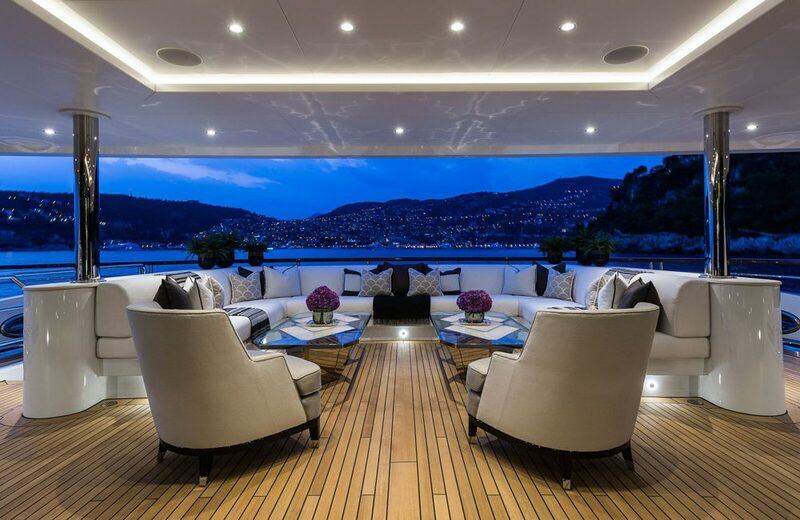 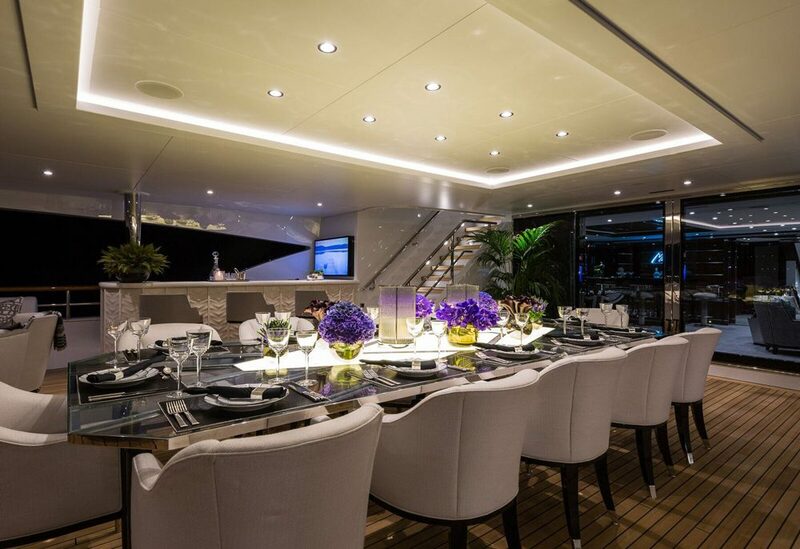 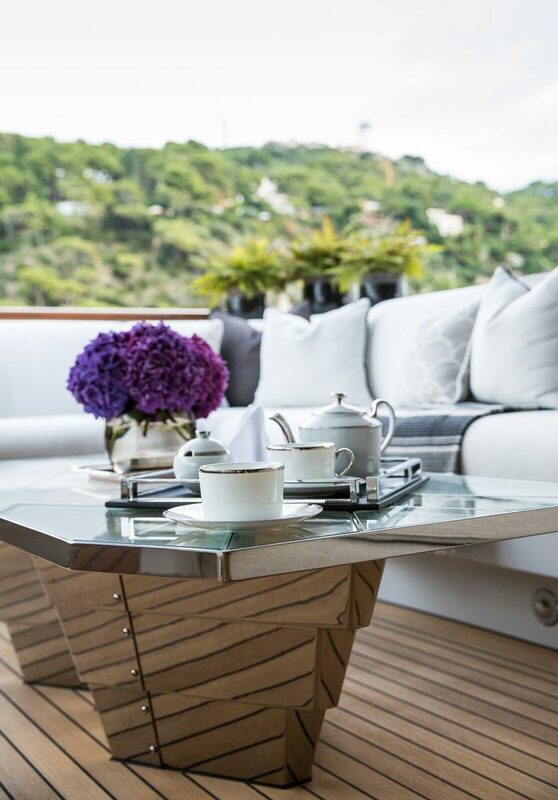 Utilising our skills in architectural metal work, Madson Black were commissioned in March 2015 to manufacture specialist deck furniture for the 67 metre super yacht 11-11 being fitted out by Benetti in Italy. 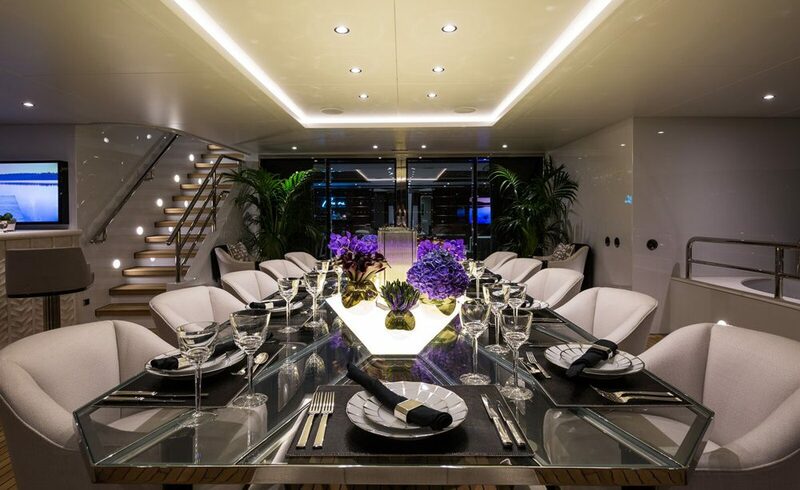 The project involved the manufacture of a 4.2 metre dining table made from polished stainless steel with 30 mm thick toughened glass panels and a quartz centre panel, backlit with an LED panel. 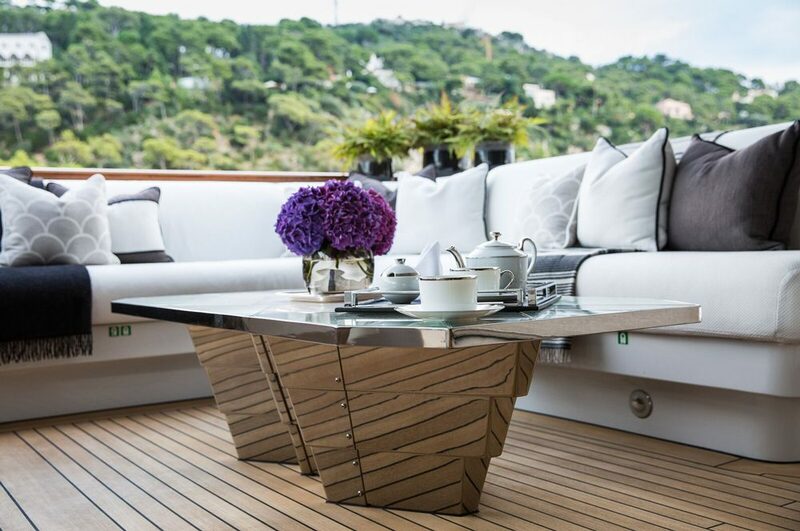 The table weighed 750 kilograms, was transported to Italy and was installed by our own specialist installation team. 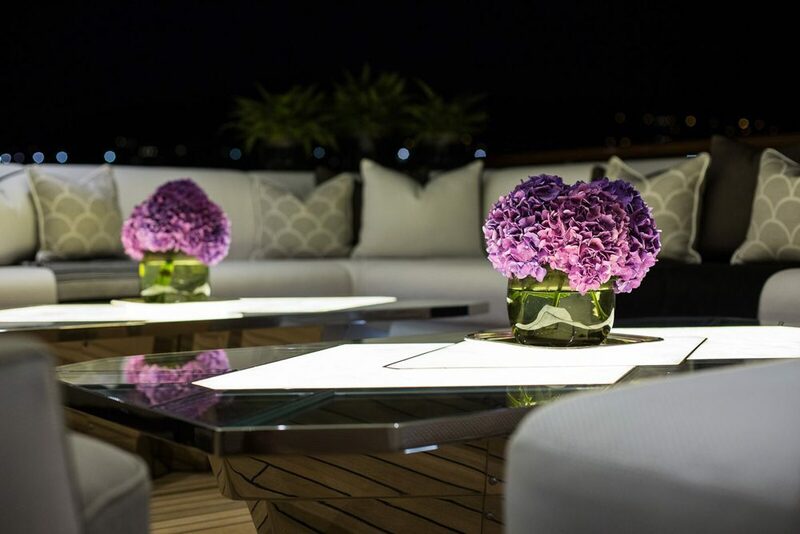 In addition, several other smaller tables were manufactured, together with bespoke planters to complete a suite of luxury outdoor furniture made to the highest possible specification. 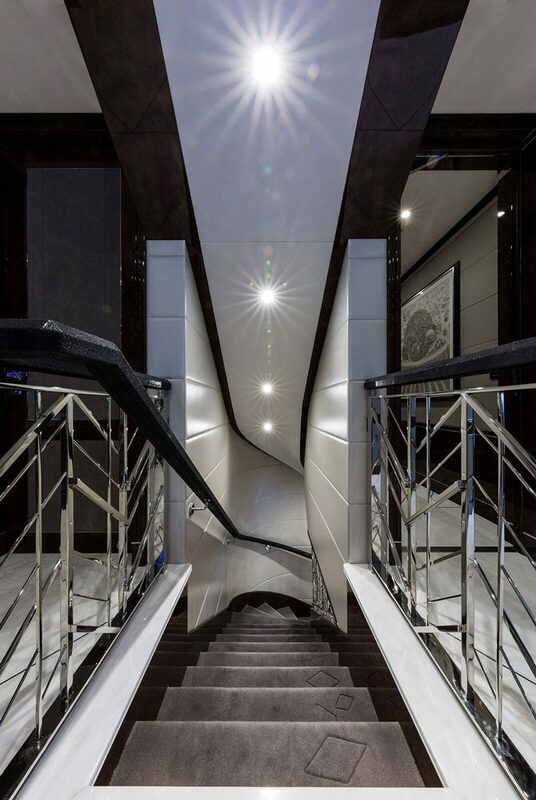 The project also included the manufacture of a highly complex set of bespoke stainless steel balustrades, which included a staircase section encompassing an extremely intricate and complex curved section. 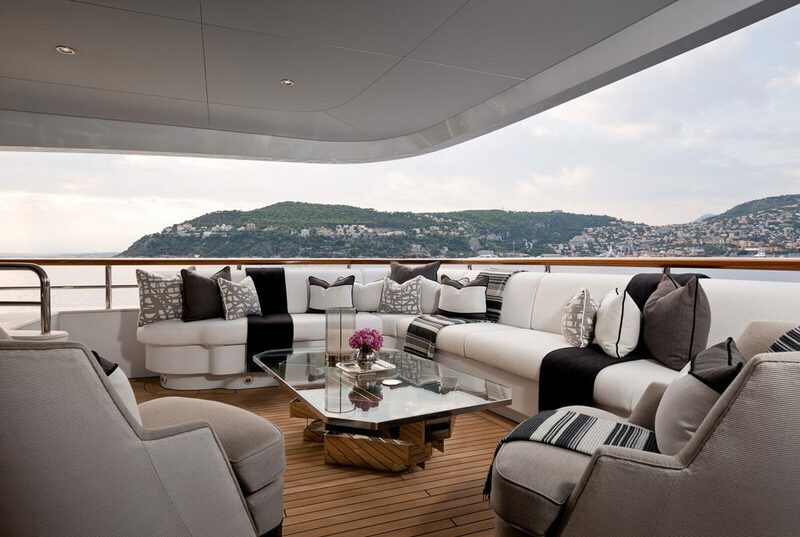 These balustrades were also installed by the same specialist installation team.